Microsoft's release of Windows 10 has added a new wrinkle to the eternal "Windows versus Linux" discussions online. And recently a Linux redditor took the time to install Windows 10 and do some exploring. While he found Windows 10 to be a prettier version of Windows, it wasn't long before he realized that Linux still beats Windows as a desktop operating system. I moved to Linux back in the days of Fedora Core 4. Albeit if only for a little while. I didn't quite understand what Linux was, but I was only 14 at the time. A friend of mine working in I.T burnt me a copy onto some CD's, and I excitedly installed it as a dual boot onto my parents computer. Since then, I've experienced Canonicals world of Ubuntu, the wonderful world of OpenSUSE, tinkered with the likes of Arch and Gentoo, and played with the intricacies of CentOS and RHEL. It's safe to say, I love Linux. Having come full circle, I'm back to Fedora - quite some years later as it's now Fedora 23. Undoubtably, Linux has come a very long way. However, Linux still has that perception of being complex and troublesome. But that perception could not be further from the truth in 2016. Nothing proved that to me more than my recent experience with the latest flagship from Microsoft -- Windows 10. It's been quite some time since I made a coffee and impatiently watched my updates installing. But, like everything, Windows deserves to flaunt it's most recent improvements. And so, like a hesitant first time Linux user, I was a little reluctant to install Windows 10 on the fragile bare-metal of my computer. As such, I chose to install Windows 10 in KVM under Fedora 23. I then port forwarded RDP ports through to the VM and used RDP from my Mac. To be fair, it's a pretty genuine experience. I've also used VMware to install a copy on my Mac and found that KVM and RDP provides a a similar but less resource intensive experience for my 13" laptop; I digress. "What a pretty Operating System this has become", I thought to myself as I watched that Blue Window ominously shine light over my screen. Complimented by the black task bar, the aesthetics continued into the Start Menu with a translucent background and relatively intuitive design - compared to the Windows 8 metro screen. I noticed that there is an option to change it to fullscreen. But even then, it still looks much better, cleaner and more thought out than what we saw in Windows 8. So far, I'm impressed, even if just for the aesthetics. But I didn't want to stop there. I wanted to use this as an everyday user who just picked up their shiny new laptop. I opened the Edge web browser again, the aesthetics are great, but I've moved beyond just looking at how pretty everything is now. No address bar? That's ok, I can follow how things work here. I type my url into the search bar, and press enter. For some reason, it has taken me to a bing search page, and there, the third link down, is the URL i'm looking for. Ok, so Bing isn't great, but everything has been relatively intuitive up until this point. I'm sure I can change that to Google. I move into the settings of Edge and see the option to change your search bar search engine. Alas, it appears all of the options are greyed out and I'm unable to add or change my search engine? But why would such an option exist after finding it, I'm not allowed to utilise it? I go back to my home page and search for how to do it. The first result gives me a page illustrating the various benefits of sticking with Bing followed by some details to change the search engine. First, navigate to the page of the search engine, then go into settings > change search engine and the page you're on should appear. Sure enough it did. But if the user needs to search for how to change a basic setting, your commitment to your users is surely not one based on their best interests. Why can I not just type a search engine? I mean, I had no reason to move away from Edge unless I can't do something with relative ease. Still no SSH? In 2016? Have to download PuTTy. Tried to remove the Windows 10 Education watermark from my genuine copy of Windows 10: Have to use a hex editor, to change hex bits to 00. But of cause you need to download one of them. Which sounds simple in theory, but it means navigating the vast array of questionable websites to find a suitable editor that may, or may not contain some kind of Virus or Malware. Why? Why is this the most popular Operating System? Why is THIS the OS that people choose to make games for, develop software for and profit from? The moral of this story is, yes, Windows 10 might be pretty. Windows 10 might support all of your favourite games. But in 2016, there is nothing this OS does that Linux can not. More importantly, Linux wont get in the way while you're doing it. More and more games are being developed and released on Linux. Linux stability has never been better. You don't even need to download a driver for your wireless card before being able to download a driver for it. That has to be a benefit. Linux is just better, for anyone. I would recommend it to anyone who is sick of their OS telling them how to use it, and getting in the way. There has never been less reasons to choose Windows over Linux, and therefore absolutely no reason that THIS should not be The belated year of the Linux Desktop. P4p3r: "Windows 10 is only pretty if you only use "modern" apps and never leave the desktop. The UI is really inconsistent, you can adjust settings in multiple places... It is a disaster if you go more than surface deep. Also, it really looks like plasma 5's breeze theme." The SolidState: "Oh the settings are so annoying. There's a settings app(?) in the start menu that looks all pretty and windows10-like, but the setting you're looking for isn't there. It's in control panel, which you don't know exists unless you happen to search for it, and which still looks the same as it has since xp. It may look pretty but it's the same old stuff underneath, which would be ok I suppose if the old stuff had just been maintained to keep up with the times, but the new stuff seems to have just been plastered on willy-nilly without any thought for consistency." Blackomegax: "Other than games and work I don't use Windows anymore. And even GAMES aren't an issue anymore. I have more on steam than I'll ever be able to play for years and years on." Grndzro4645: "The biggest problem I run into with getting people to switch is they often have an I-something and they freak out about not having I-tunes. It is literally the biggest bottleneck for getting people to switch." Martinidude: "I've been using Linux since about a month after Windows 10 came out. I've tried it before, but this was the first time it stuck. I still dual boot for one or two programs for which I haven't been able to find acceptable alternatives. Even my mom, who's in her 70s, loves her computer again, now that I put Linux on it." Dogemaster68: "This issue comes up so very frequently and I agree completely Linux is really awesome, I use it exclusively. But what is different now, this time around, for the "average", nontechnical user like your parents or grandparents? To run Linux you have to reinstall the OS which is too much for most people. Many people don't even know what Linux is. Plus, Windows has an absolute stranglehold on the corporate desktop market especially with the Microsoft Office platform. So my question is what is different now? 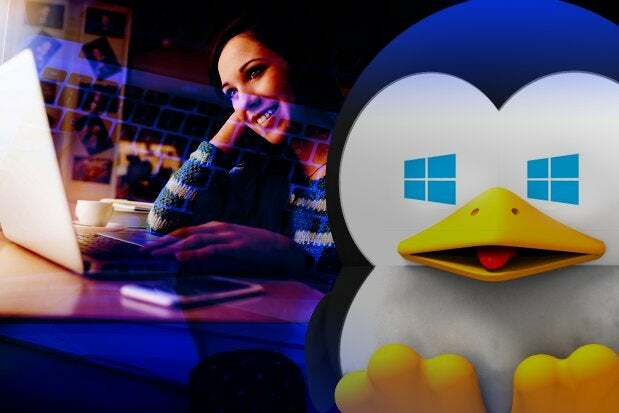 How can Linux on the desktop overcome the momentum of Windows and to some degree Apple? " PoetheProgrammer: "Because the Operating System has become irrelevant, and most people no longer even need a PC."